Better Vision New Jersey is a dry eye treatment center, and we aim to provide the best and most comprehensive treatment options available to our patients. Drs. 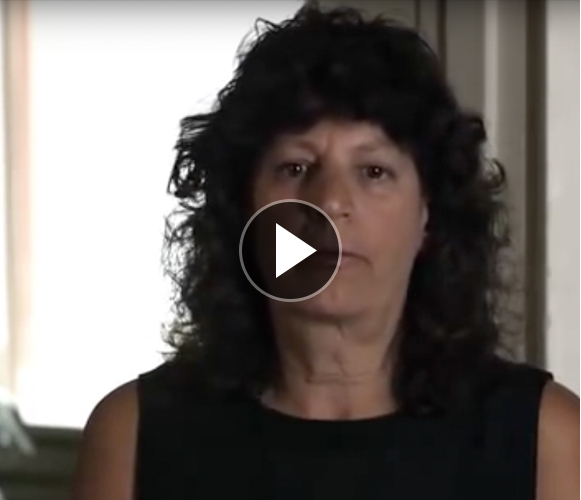 Calderone, Rudofsky, and Chopin are dedicated to helping their patients cope with this very difficult condition, and strive to incorporate the latest, most effective technology into their practice. Our primary treatment options for dry eye include artificial tears, LipiFlow® Therapy, Xiidra, Restasis, and punctal plugs. Our practice is the first in the state of New Jersey to offer LipiFlow®, and offers a full range of medical therapeutics to treat dry eye, including nutritional supplements. The first line of therapy for dry eye syndrome is the use of supplemental lubrication, or artificial tears, to add to the deficient tear film on the surface of the eye. There are many types and brands of lubricating eye medications, and at Better Vision New Jersey, we will work with you to determine the best option for your eyes. Artificial tears are drops that add lubricants to the surface of your eyes. Usually, these solutions attempt to mimic the composition of natural tear film. Supplemental lubricants can also come in gel or oil forms, and while they do evaporate more slowly, they can blur your vision for a period of time. Ointments can also help lock moisture at the eye’s surface, since they are slow to evaporate as well. Unfortunately, your vision can be blurred for a considerable amount of time. Therefore, this option is excellent for when you are sleeping at night, since clear vision is not an issue. While there are many other treatment options for dry eye, artificial tears will likely be needed as additional therapy with any other therapeutic regimen. Store brand generic tear substitutes can often contain harmful preservatives, and eye drops with the power to “eliminate redness” may only simply constrict blood vessels in your eyes. It is therefore important to discuss the use of these agents with the doctors at Better Vision New Jersey so the doctors and technicians can explain to you what over-the-counter agents are best suited for your dry eye condition. At Better Vision New Jersey, we will ensure that you are given the best possible treatment regimen for your specific case. At Better Vision New Jersey, we are proud to be the first practice in the state to offer the latest advancement in dry eye treatment—TrueTear®. This easy-to-use, prescription-only device offers drop-free, drug-free relief to those who battle severe dry eye. 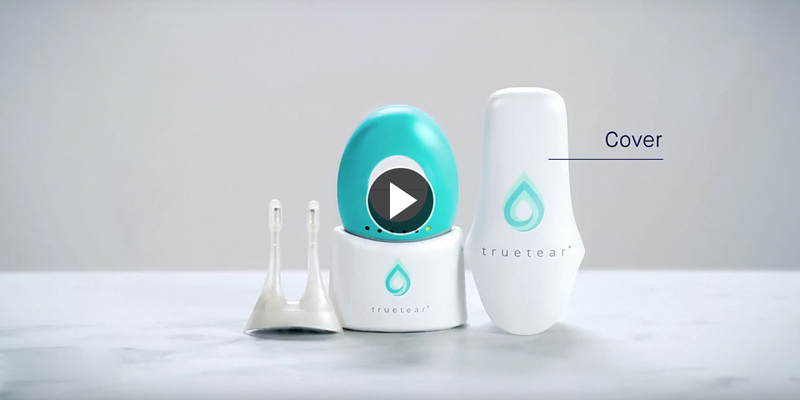 Through the innovative technology of neurostimulation, TrueTear allows patients to use gentle pulses of energy to temporarily increase the production of natural tears and ease the symptoms of severe dry eye. When a patient inserts the disposable tip of their TrueTear Intranasal Tear Neurostimulator into their nose, the device stimulates a nerve in the nasal cavity that sends signals to the brain to produce more tears. Because adequate tearing through neurostimulation takes only a few seconds to a few minutes, this treatment conveniently fits into a patient’s daily routine, while delivering incredible results. TrueTear is designed with patients in mind, providing advanced relief from dry eye symptoms, while never compromising its user-friendly nature. If you are interested in learning more about how TrueTear can treat your dry eye, or if you have general questions about the various dry eye treatments we offer, please contact us today. 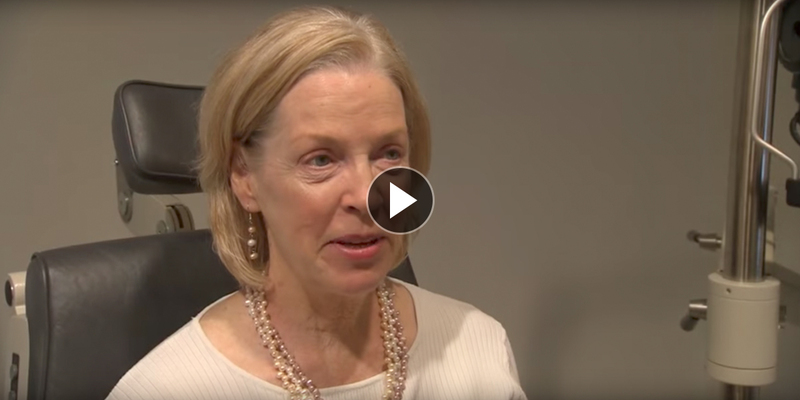 If you are experiencing eye dryness, irritation, light sensitivity, vision fluctuations, contact lens intolerance and eye fatigue, you may be a candidate for a new treatment called LipiFlow® Thermal Pulsation Therapy for evaporative dry eye syndrome. Dr. Calderone is the first ophthalmologist in New Jersey to provide LipiFlow® for dry eye syndrome, and we are proud to provide this revolutionary treatment at Better Vision New Jersey. 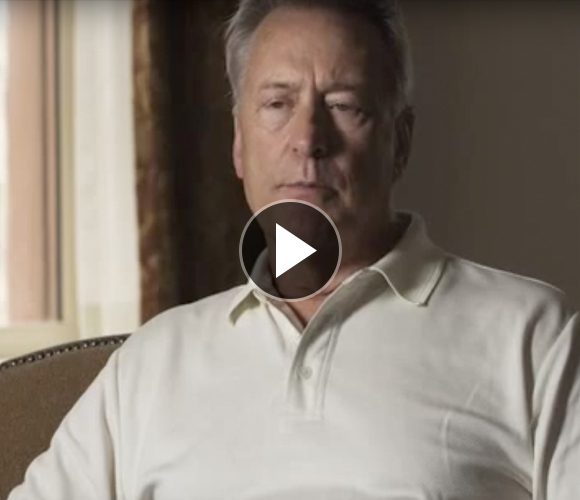 For many people, LipiFlow® is synonymous with relief. Millions of people in the US suffer from dry eye, and a majority of those people have evaporative dry eye, which stems from a deficiency in the oil (lipid) layer of the eyes’ tear film. The lipid deficiency is associated with malfunction of the meibomian glands located in the eyelids. This functional deterioration has been progressing in most patients since they were in their twenties. The LipiFlow® Thermal Pulsation System directly treats the root cause of Evaporative Dry Eye, Meibomian Gland Dysfunction (MGD), not just the symptoms. LipiFlow® therapy consists of the application of localized heat and pressure to the eyelids with a disposable eyepiece. The treatment works to facilitate the release of lipids from the blocked Meibomian glands, which allows the natural flow of lipids to resume. The procedure is done in our office, and takes only about 20 minutes. Both eyes can be treated simultaneously. In some cases, Dr. Calderone may be able to perform the treatment on the same day as your evaluation. You can expect to see improvement in overall dry eye symptoms between four to eight weeks post treatment, perhaps sooner. You would not be a candidate for LipiFlow® if you recently had eye surgery, eye injury, herpes of the eye or chronic eye inflammation. LipiFlow® may not fit all eyes. Possible side effects from LipiFlow® include redness, burning, stinging, discharge, blurred vision, dryness and sensitivity to light. If left untreated, dry eye can lead to further eye deterioration and additional problems. We therefore encourage you to talk to Dr. Calderone about the potential benefits of LipiFlow®. At Better Vision New Jersey, we also offer Xiidra and Restasis as treatment options for dry eyes. These two drugs are prescription eye drops that help, through different mechanisms, to increase your eyes’ natural ability to produce tears by reducing inflammation. However, they are not artificial tears or supplemental lubricants, nor are they intended to replace these mainstay over-the-counter therapies. Both drugs work by reducing chronic inflammation of the tear-producing lacrimal glands, improving both the quantity and quality of tears produced. They are available by prescription only and require the continuation of artificial tears/supplemental lubrication at the same time. The physicians at Better Vision New Jersey also recommend the use of HydroEye supplements. These gel caps include a variety of vitamins, Omega 3 fatty acids, and black currant seed oil, the last of which is especially helpful in prolonging the effect of LipiFlow® therapy and enhancing the oiliness of the meibomian gland secretions. 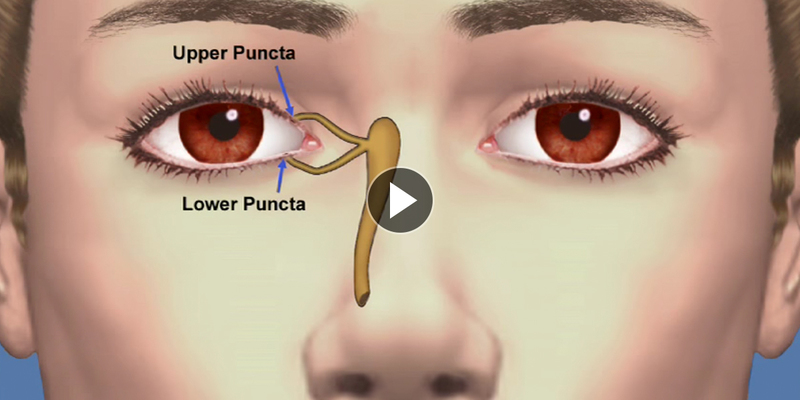 At Better Vision New Jersey, we may also suggest punctal plugs as a supplemental therapy for your dry eye syndrome. The use of punctal plugs is typically helpful in moderate to severe cases of dry eye syndrome, especially when there is an element of water deficiency. These plugs are used to slow the drainage of tears from your eyes. By slowing the rate of tear drainage, more tears stay on your eyes, relieving dry eye symptoms. The procedure is simple and can be performed in-office in just a few minutes. Depending on your specific condition, we may utilize one of two primary types of punctal plugs: temporary or permanent. Temporary punctal plugs are made from dissolvable collagen while the permanent plugs are made of a silicone substance. You may receive a temporary punctal plug before being given the permanent option.